FRESH 12oz cans Duff Energy!!! DOH!! How cool is this?! Straight out of Moe's Tavern is the Simpsons Duff Energy Drink! 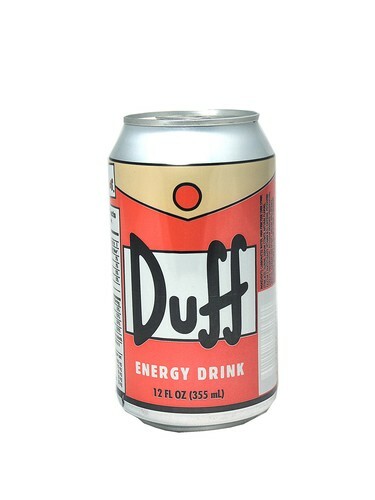 The Simpsons tasty orange-flavored Duff Energy Drink contains a potent blend of Vitamin Bees, Taurine, Caffeine, Inositol, Guarana, and Panax Ginseng.